This cut work piece is painted all in shades of blue. 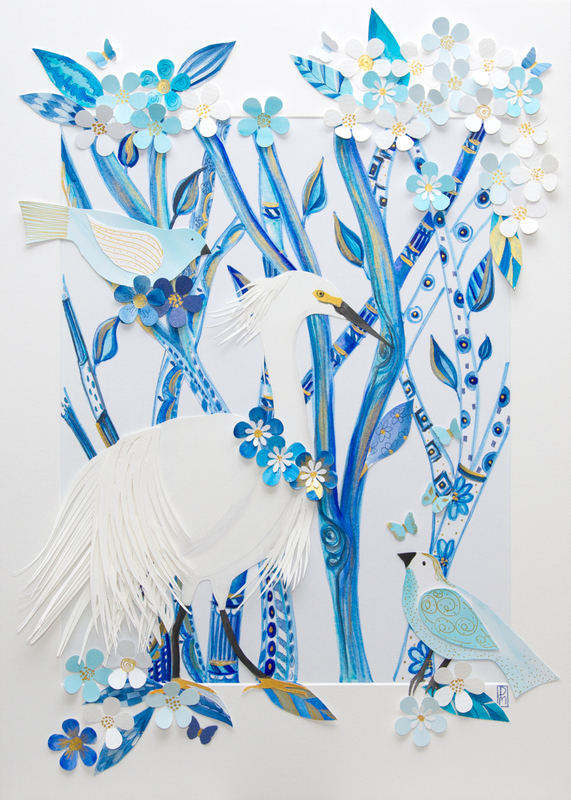 All of the birds, flowers and leaves are cut out and pieced onto the background of branches and the white mat. Rather than realistic art, it is a nod to nature as the creative energy she is. This piece hung in the Art and Antique Studio Gallery show (Melbourne, Florida) Kaleidoscope Spring 2017 and won an special honor award. It is framed in a large shadowbox with a plexiglass cover so all of the raised pieces have lots of room!